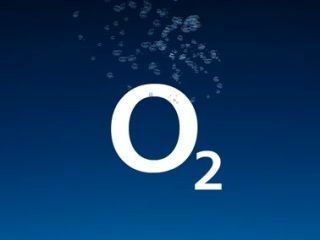 O2 has revealed that it is to strengthen its coverage in the UK, with the introduction of 1,500 network sites at the cost of £500 million. The expansion is set to take place in 2010 and will mean that the mobile phone company will be able to cope with the inevitable onslaught of consumers asking for more out of their souped-up handsets. O2 currently stocks both the Palm Pre and Apple iPhone in its shops and this trend towards consumers using high-end handsets which can stream video and music will put massive strain on the company's infrastructure. This expansion plan is so the company has "headroom" for the future. "In the past 12 months the mobile industry has seen an unprecedented change in demand," said Derek McManus, Chief Technology Officer for O2. "The introduction of world-class devices, in combination with a wide variety of data applications, has brought about a dramatic change in customer behaviour and created an exponential demand on mobile data networks. "We are now aggressively accelerating our network growth programme to ensure we have significant headroom for the future and retain our focus on being number one for customer satisfaction." The work is set to cost around £500 million and will see a nationwide expansion of network sites. London has been earmarked for 200 of those sites, 40 of which will be live by Christmas 2009. Interestingly, O2 has noted that streaming the likes of YouTube on your mobile phone can take up as much network capacity has the sending of 500,000 text messages simultaneously. Ouch!